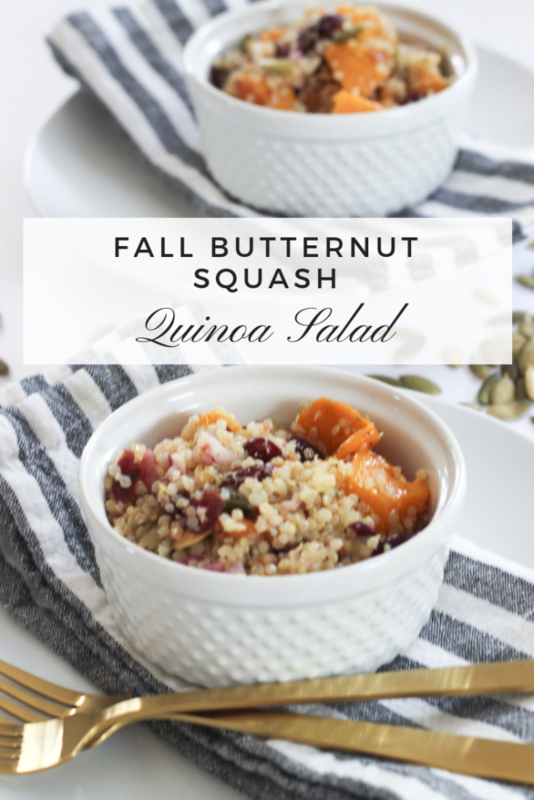 I was making this Fall Butternut Squash Quinoa Salad in my Instagram stories the other day and you guys wanted me to share the recipe, so here it is. This salad comes together in about 30 minutes. It is chock full of good-for-you stuff and is hearty & satisfying. 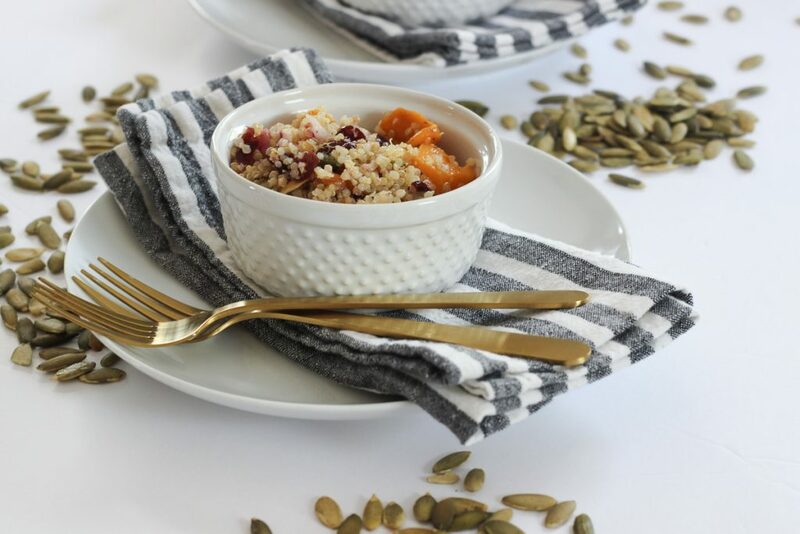 The roasted butternut squash, dried cranberries and toasted pumpkin seeds make it the perfect fall salad. It holds up well, so it is perfect to make in a large batch and then you have a healthy lunch for the whole week. I love topping it with grilled chicken as well. Combine all dressing ingredients in your salad bowl and mix together. 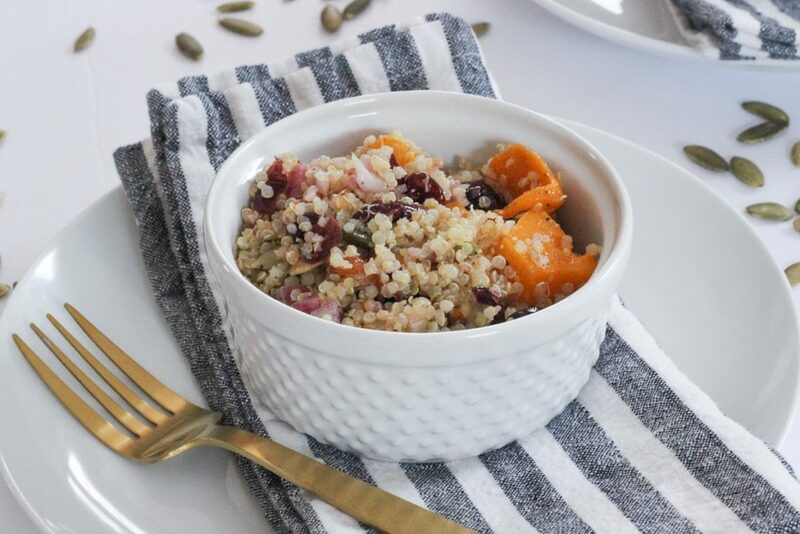 To assemble the salad, combine the cooked quinoa, roasted squash, cranberries, red onion, toasted pumpkin seeds in your salad bowl and toss until everything is evenly coated with the dressing. Season with salt and pepper, to taste. Chill in the refrigerator for couple hours and serve.